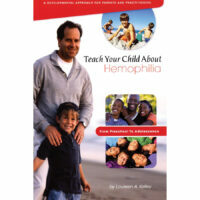 Our Books – LA Kelley Communications, Inc.
Fifth edition of the world’s first parenting book on hemophilia written by a parent of a child with hemophilia. Practical, easy-to-understand info on medical treatment, genetic transmission, child development, consumer issues, school, sports. Includes advice from experienced parents, compiled from interviews with more than 180 families. A hemophilia diagnosis can upset your beliefs, feelings, and life. This book offers simple, concrete ways to regain feelings of control through empowering ways of thinking and goal-setting. Before-and-after illustrations highlight the many situations you may face, and how to handle them confidently and effectively. 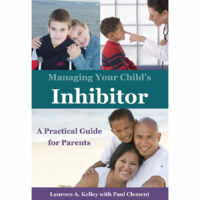 World’s first book on inhibitors. From parents’ and patients’ points of view, extensively covers topics including pain management, surgery, family life, treatment. Sponsored by an unrestricted grant from Novo Nordisk Inc. 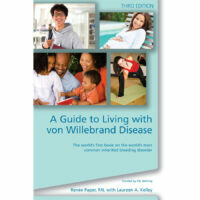 The world’s first book on the world’s most commonly inherited bleeding disorder. Topics include learning to cope with VWD, inheritance, the medical system, treatment, women’s issues, health insurance. Complete resource guide and real-life stories. Out of Print. New edition coming soon! 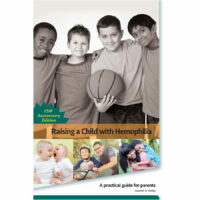 In-depth exploration of the way children think and understand hemophilia as they mature. Examines children’s understanding of hemophilia concepts at different ages: cuts, healing, blood, severity levels, blood clotting, infusions, genetic transmission. Fascinating look at the way children on prophylaxis understand hemophilia. Prepares parents to appropriately answer children’s questions and encourage independence. Out of Print. New edition coming in 2019! 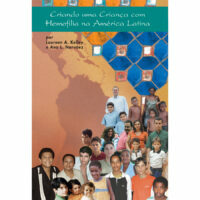 First book about hemophilia in Latin America. Based on interviews with dozens of families and patients in five countries. 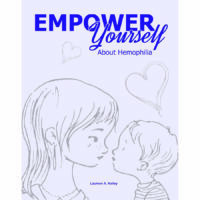 Written for parents by a parent of a child with hemophilia. Topics include differences in hemophilia treatment, genetics, transmission, family dynamics, government policies, being a smart consumer, medical complications. 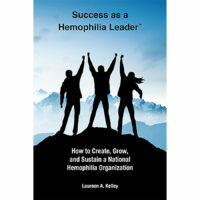 World’s first guide to founding, managing, and growing a grassroots hemophilia organization, or improving an existing one. Advice on creating vision and mission, forming a board,fundraising, producing a newsletter, programming, establishing an office, working with a medical advisory board.